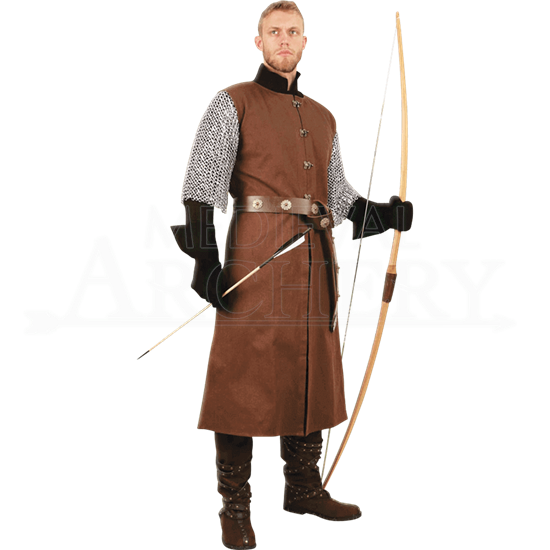 Go full style as you embark on another exciting quest on behalf of a LARP kingdom. 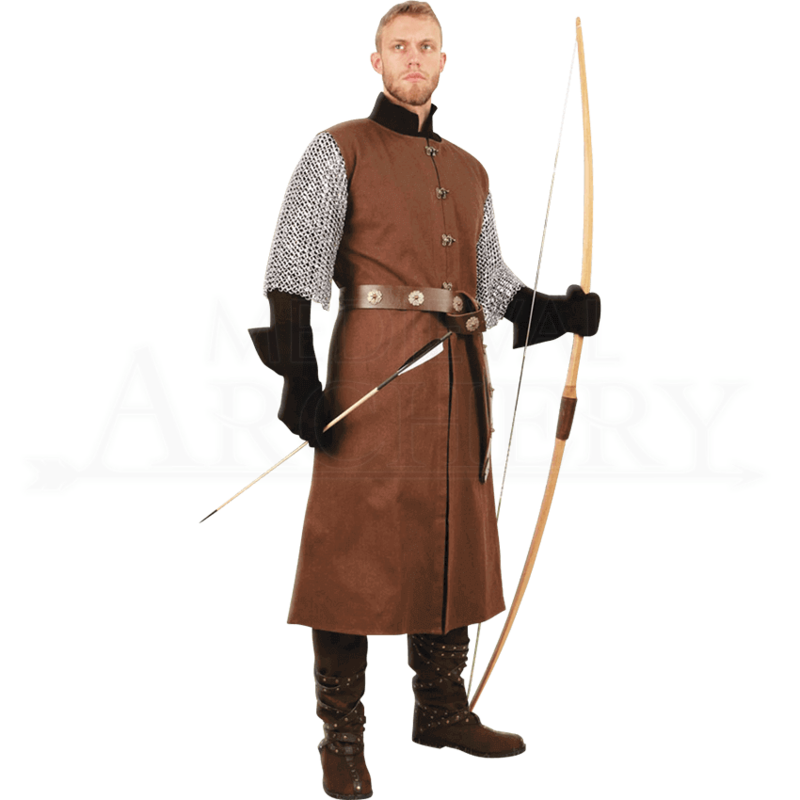 Whether you apply your skills as a knight, archer, or infantry soldier, the Medieval Ranger Surcoat serves you well both on and off the battlefield. Made of strong, durable denim fabric, this medieval tunic offers an extra layer of warmth and authenticity during live action roleplay or historical reenactment. It follows a classic sleeveless design, reaching to approximately below the knee. Front, back, and side slits aid your freedom of movement. Four heavy-duty clasps offer closure down the front. Two colors options are available. Brass fittings come with the brown surcoat while silver fittings are paired with the black. Please note that the belt and other accessories are not included.